This image is a snapshot of a program I wrote called "statue": statue.zip (556415 bytes). 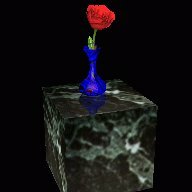 It shows off the texturing and blending features of OpenGL. I wrote the main algorithm for the reflectance in '92, and nothing really came of it. But at SIGGRAPH '95, SGI was showing off the same effect, and I started to spice up my old program (it was called "mirror"). This is the result. Quite amazing reflection for real-time rendering. This image is a snapshot of a program I wrote called "blend". It shows off the texturing and blending features of OpenGL. 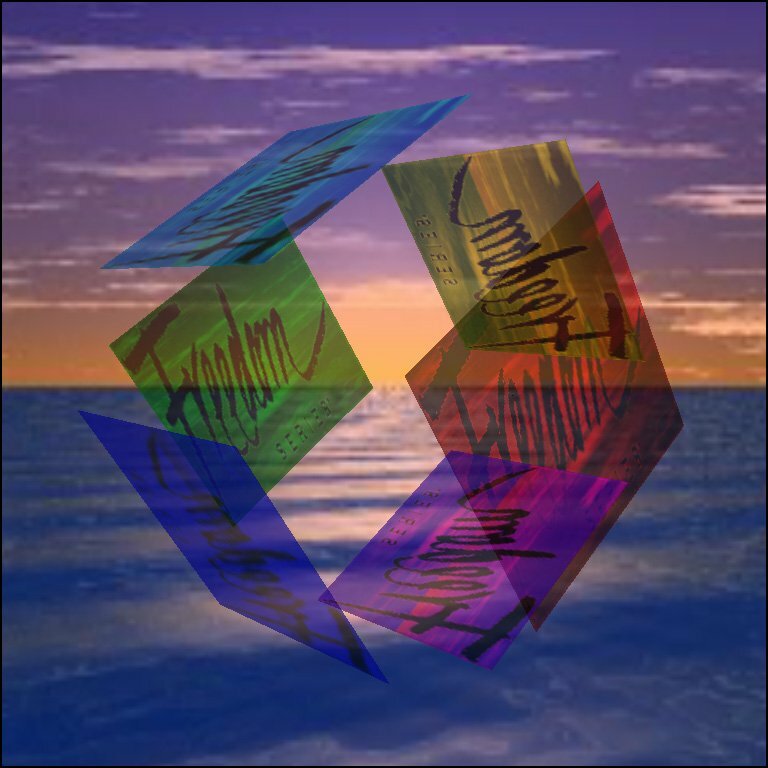 The "Freedom" logo is the logo for Evans & Sutherland's Freedom graphics accelerator. 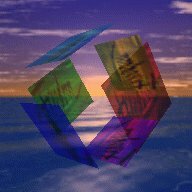 When the program is running, the box spins around, and the background zooms forward and back. 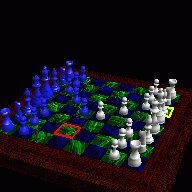 This image is a snapshot of (yet another) program I wrote called "chess". This shows off the OpenGL picking/selection features. The pieces are Wavefront .obj format (34558 bytes) converted from OFF format (44826 bytes) files by another program I wrote. (Use shift+left mouse button on the link to download the pieces) The pieces were originally made by Randy Brown. 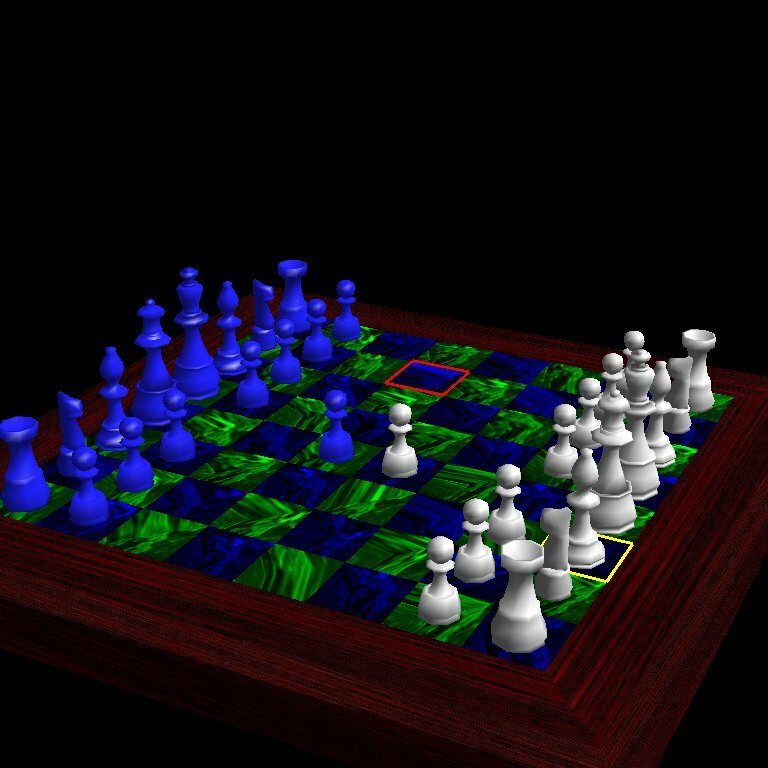 The chessboard is fully texture mapped. The squares all use the same texture map, but the (u,v)'s of each square are slightly randomized, so it doesn't look quite the same on each square. This image is a snapshot of a program I wrote called "glaze". 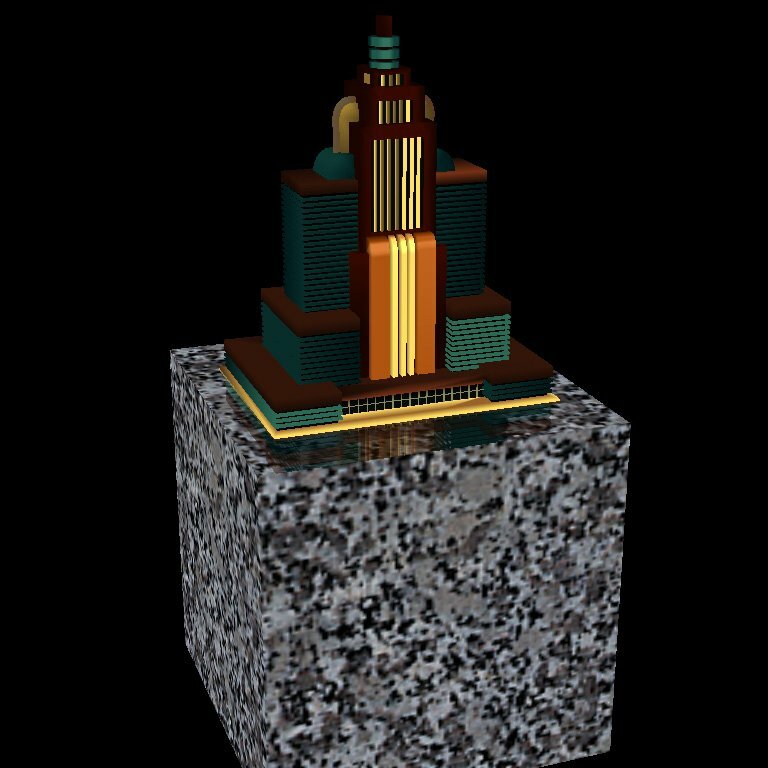 It shows off the texturing and lighting features of OpenGL. It also shows off an extension to OpenGL that was written at Evans & Sutherland. 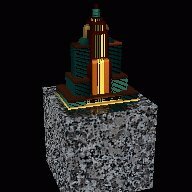 This extension is called the "shaded-texture" extension, and provides facilities for putting the texture color of a fragment into the lighting equations (particularly specular). This demonstration program is shipped with all Freedoms. 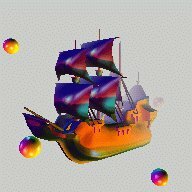 It was shown in several booths at SIGGRAPH '95 including Sun, HP and DEC booths. 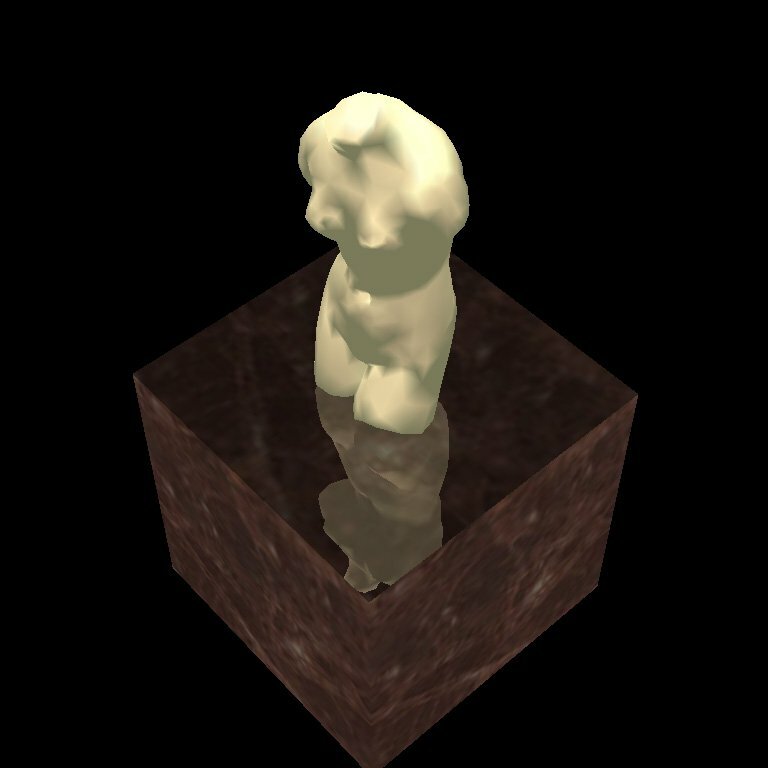 This image is a snapshot of a program I wrote called "statue". 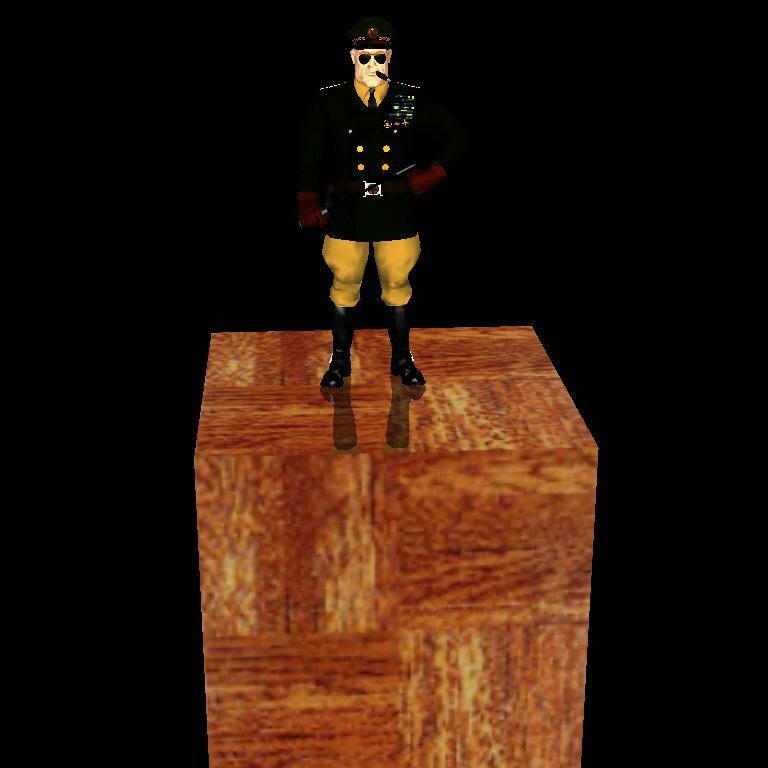 It is a general standing on top of a wooden block. In the full size picture, you can see the reflection of the general. Someone must've used Pledge on the block of wood -- wonder if I can get this picture in a commercial...? 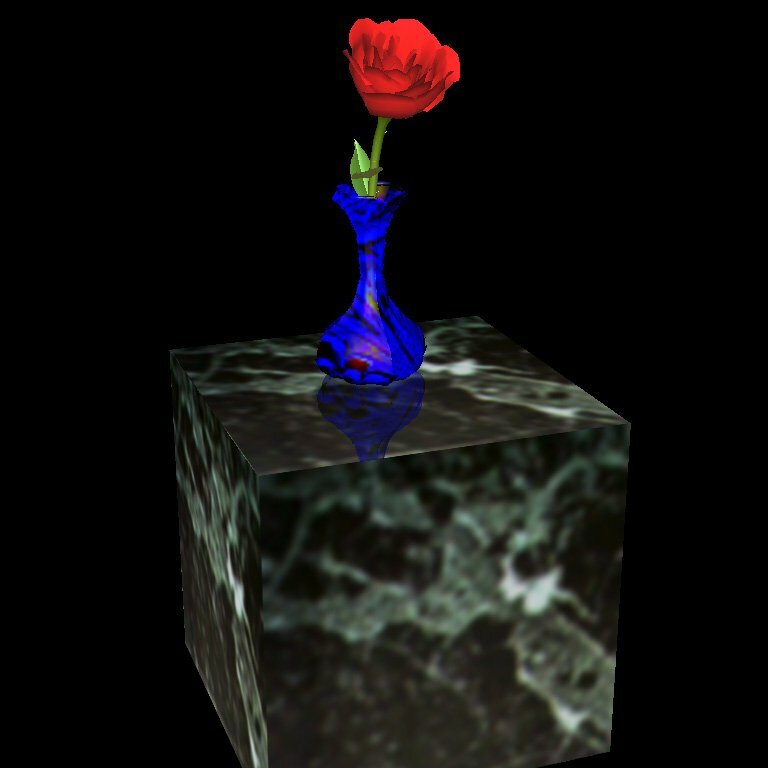 The model comes from the "5 free for SIGGRAPH CD" from Viewpoint Data Labs. 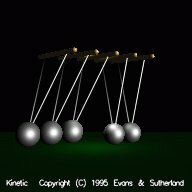 This image is a snapshot of a program I wrote called "kinetic". 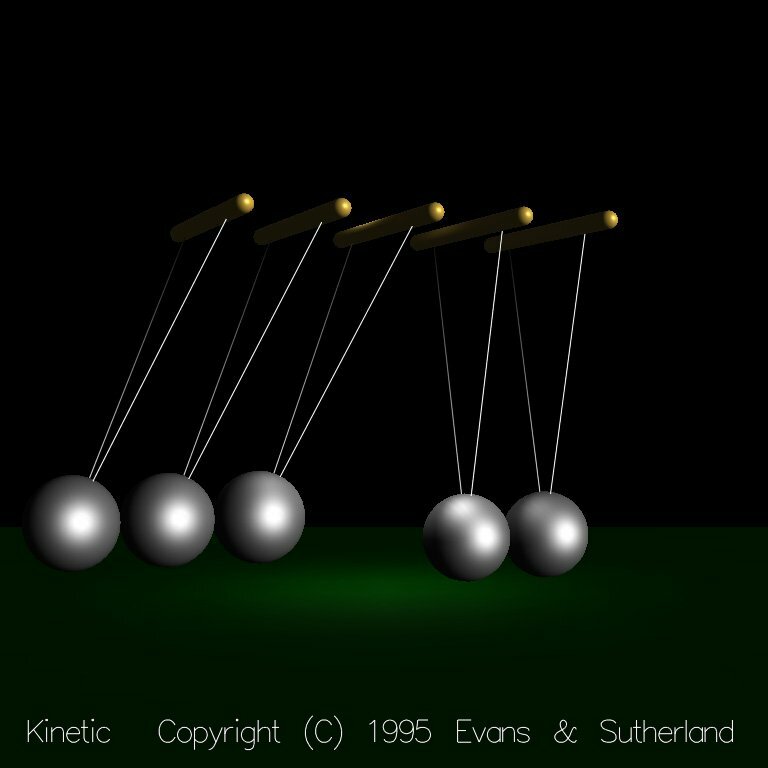 It shows off a "Newton's Cradle". I used straight sine waves for the movement without actually calculating any collisions. It looks astonishingly real, but I'd really like to do one with some real physics in it, and also some shadows and perhaps reflections on the balls.. 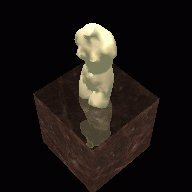 This is another object rendered in the "statue" program, and where the program got it's name. This is the famous Venus de Milo statue.